The Trentino has several gastronomic highlights to offer, discover the merits of the cuisine of the Trentino. 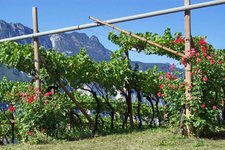 The Trentino has a wide variety of typical gastronomical products to offer, holidays in this area are so to speak a real treat for your palate. 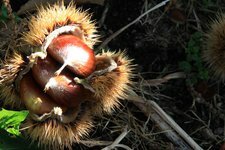 Typical for the Trentino are e.g. several wines or the Grappe, also popular on an international level. 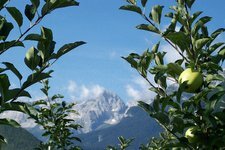 Apple cultivation areas, however, are particularly the Val di Non, Val d’Adige, the Alto Garda and the Valsugana. A traditional art is the production of alpine cheese prepared on the basis of original recipes. 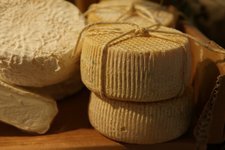 The most popular types of cheese of the Trentino are the Trentingrana, Spressa delle Giudicarie and the Vezzena. 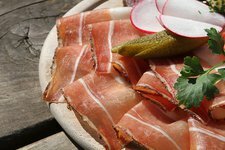 Equally popular are the sausage products such as the Carne Salada, the Ciuga del Banale and the Mortadella of the Val di Non. Another crucial element in the cuisine is the polenta, which can be cooked in many different ways. 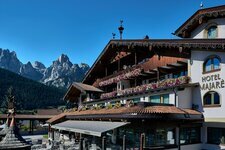 Experience the delicacies of the Trentino! 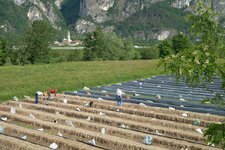 The cheese dairies in the Trentino produce a wide range of high quality cheeses. 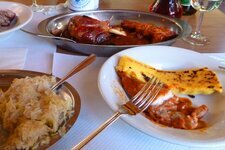 These sausage and meat products are typical for the Trentino. Traditional cuisine rediscovered in the north of Italy. 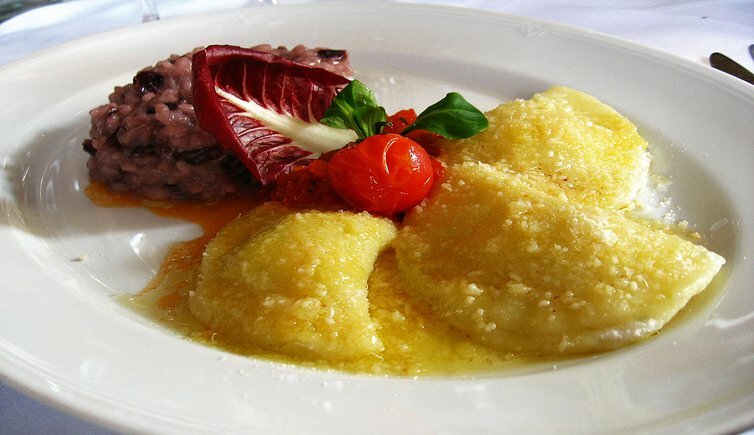 The dumplings – in many variations – are a typical dish of the Trentino.